As you can probably tell from our photos on Instagram and Facebook, Stephen and I adopted two kitties just before Thanksgiving last year. We had seen their story on a local adoption website for the Animal Friends Rescue Project (AFRP). The webpage said that two blind cats from Vietnam, a bonded pair originally dubbed "Hope" and "Mercy," were looking for a permanent home. Millie (top) and Toyon (bottom) on their first night home. It all started with an email from Lt. Col. Robert Lucius, Pacific Grove resident and founder of the Kairos Coalition, a nonprofit organization that promotes animal protection and humane education in countries where dogs and cats are routinely mistreated, tortured and slaughtered for the meat trade. 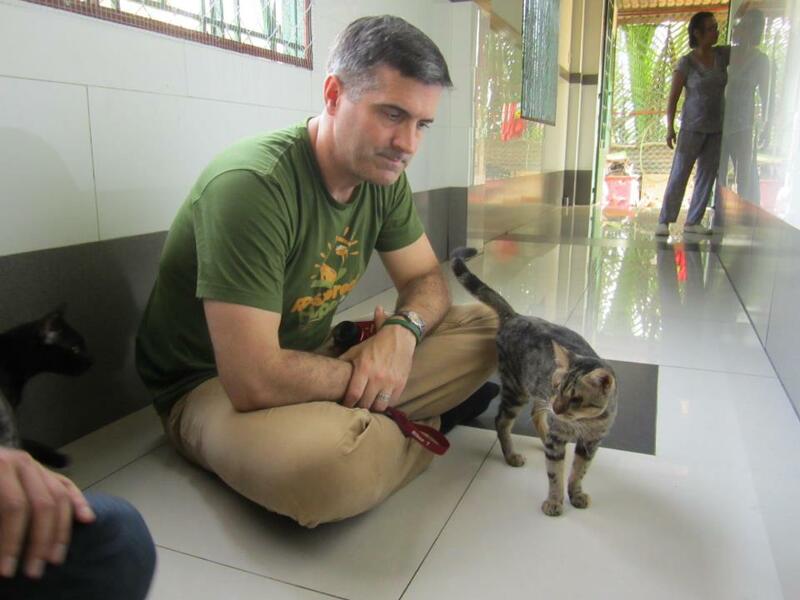 Robert asked for our help finding a loving home for Mercy and Hope, healthy young cats who had been used as practice subjects for Vietnamese veterinary students learning surgical eye removal techniques. Hope and Mercy traveled from the Restored Hope Foster home, a volunteer-run rescue facility in Ho Chi Minh City, to Pacific Grove in late March. 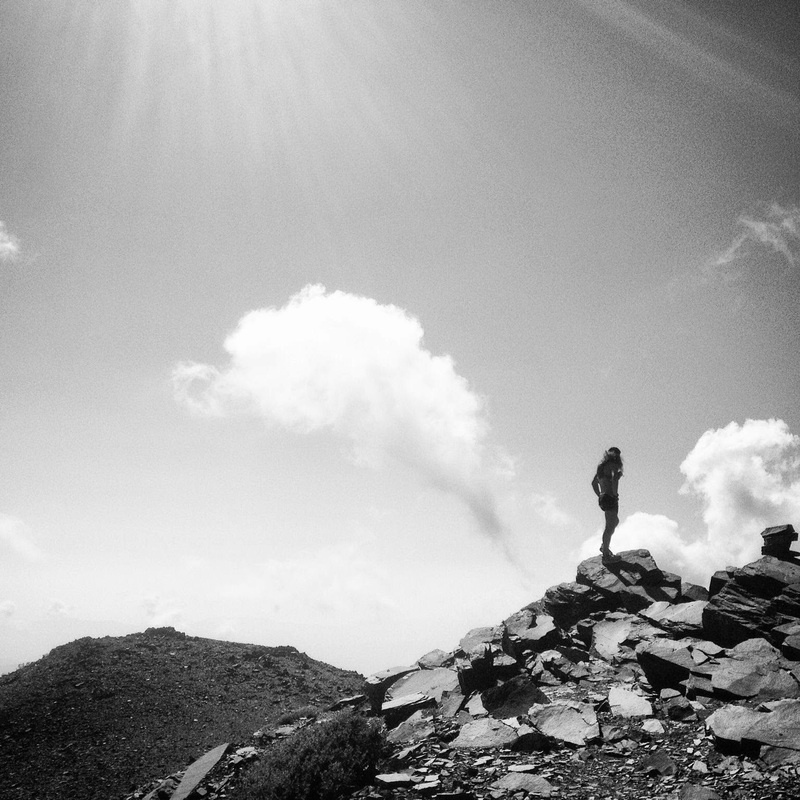 They went into foster care (thank you Polaris and Taven) and set about adjusting to a new life in a new country. 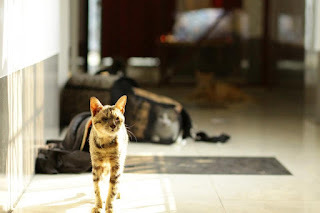 Members of Yeu Dong Vat (YDV), a group of young animal advocates in Vietnam, have been following the progress of Hope and Mercy, who have become feline celebrities and symbols of hope for the animal lovers and rescuers in their country. 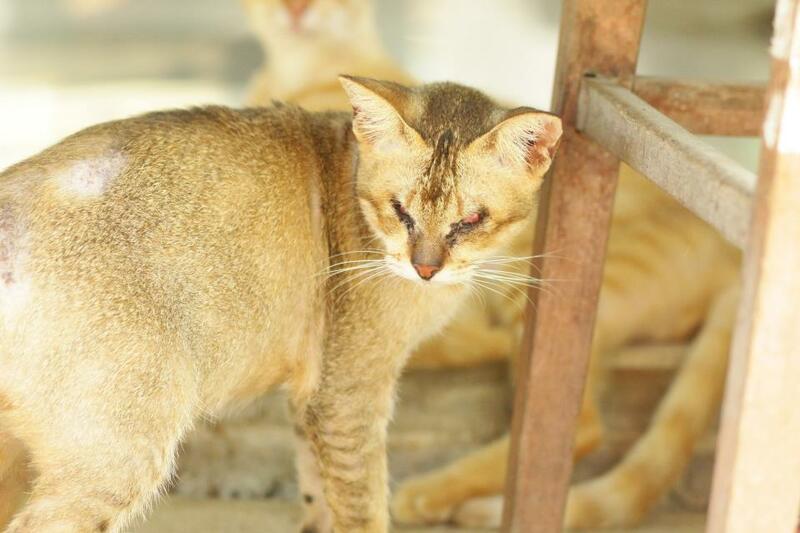 Despite their vision loss, Hope and Mercy are cheerful, playful and affectionate cats who thrive on routine. Their acute senses of hearing, smell and touch help them compensate for their lack of sight, and once they have mapped out their surroundings, they find their way around the house quite easily. 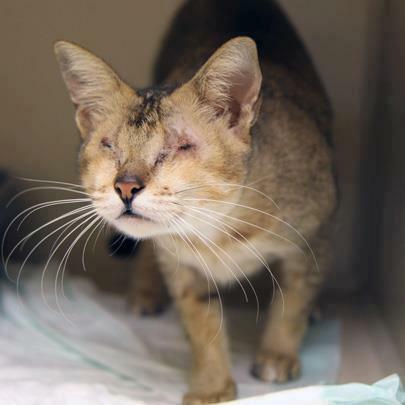 It is important to give blind animals a consistent environment (no furniture rearranging), along with keeping food and water bowls and litter boxes in the same easy-to-find location. A bonded pair, Hope and Mercy snuggle together and engage in mutual grooming sessions. We'd like them to be adopted together. 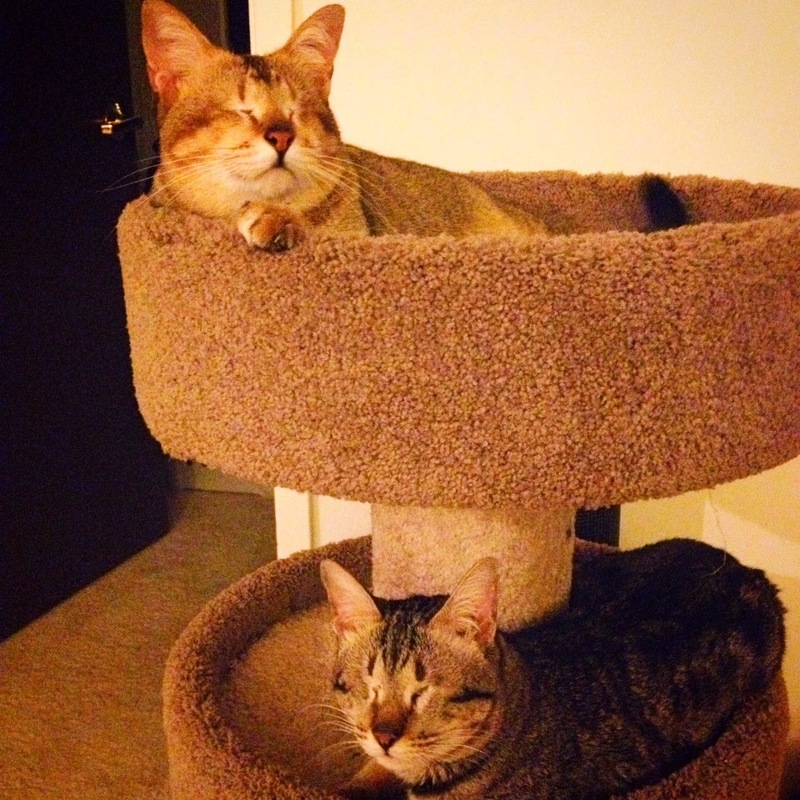 We debated on adopting two blind animals: Would we be able to provide the care they needed? Would there be any complications? Would they have a good quality of life, and would we be able to play with them and enjoy their company like "normal" pets? How would we adjust from having no pets to suddenly having two pets with special needs? We researched about caring for blind pets, and in learning about these two cats' incredible story, we fell in love with them. Millie after the surgery to close her open eye sockets. Stephen contacted the AFRP, and we scheduled a time to meet the kitties. When we first met the cats, Stephen (the cat whisperer) bonded with Millie right away. Toyon was shy, retreating to his cat tower, but warmed up as we talked with their foster parents about care and concerns. Their foster family generously gave us important advice, as well as a haul of blankets and toys for the pair. It was evident that these two cats were incredibly special and had touched the hearts of every person along their journey. "Eyes removed - open sockets; ocular discharge w/ foul odor. Haircoat is sparse & some scabby on skin." The records said that portions of the ocular nerve had to be removed and that their eyes were stitched shut. Since living with us, we have put them on a "low residue" diet, meaning we're feeding them high quality food that's very easy on their digestive systems. They have both gained weight and their fur is luxurious. We renamed the cats "Millie" (affectionately referring to Mill Valley) and "Toyon" (a local trail named after a Californian plant). They have settled in amazingly well in their new home. Millie and Toyon love playing with their feather wand and running laps around the apartment- expertly avoiding the furniture! 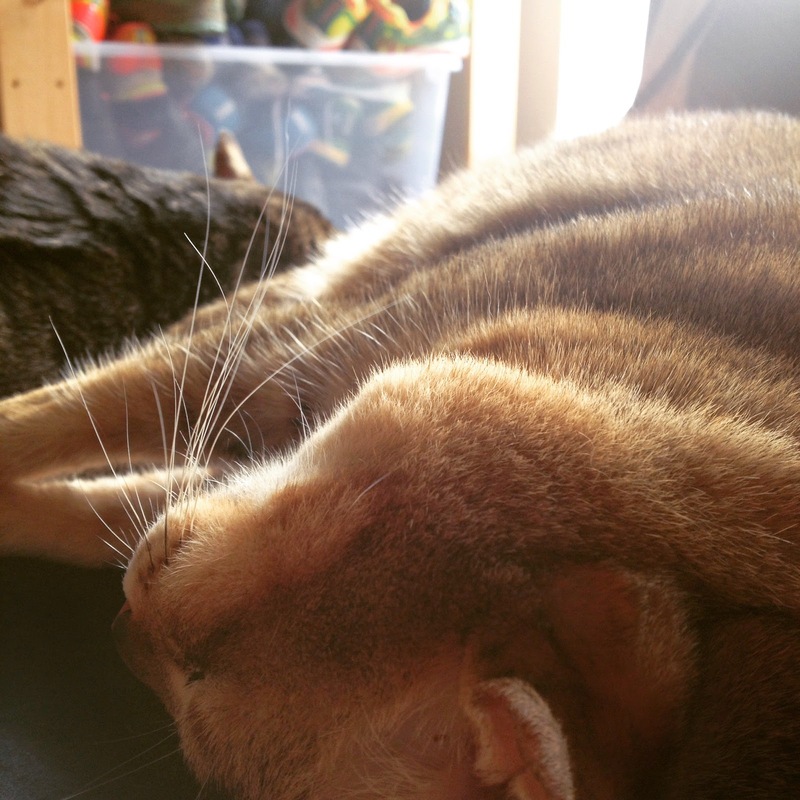 They are the most affectionate and cuddly cats I have ever encountered. 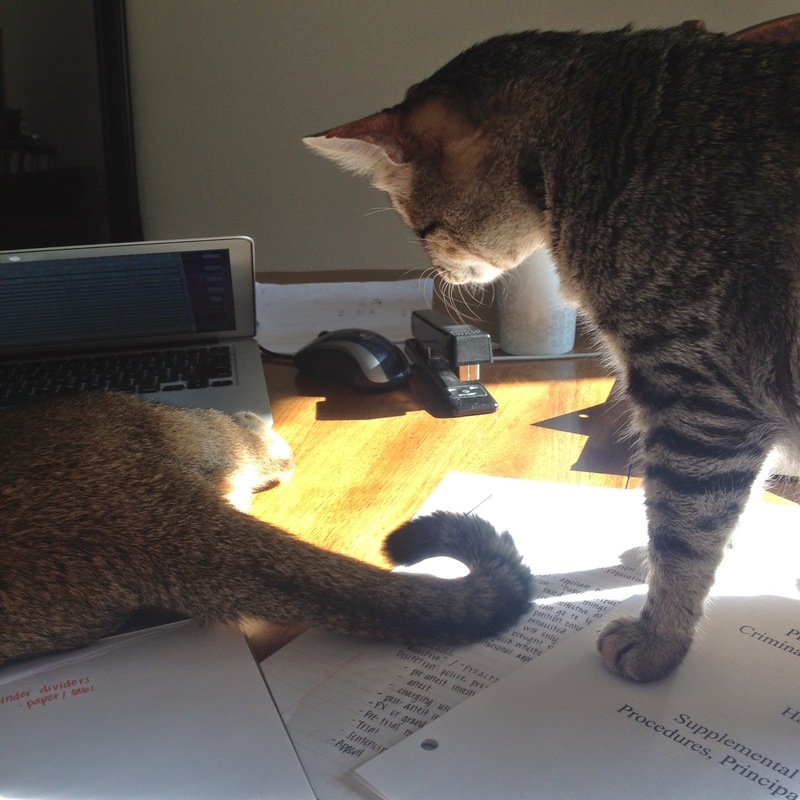 Millie is the adventurous one - climbing up onto shelves, window ledges, and sunny spots on the desk. Toyon insists on being my study-buddy: he hoards the pens and pencils, naps next to (and sometimes on top of) my laptop, and lets me know when it's time for lunch. Both cats love sitting next to the screen door and listening to the birds outside. Thank you to everyone who had a hand in Millie and Toyon's journey: from the veterinarian in Ho Chi Minh City, to Lt. Col. Robert Lucius, to AFRP and their foster home, to the amazing staff at Cat's Cradle and the East San Rafael Veterinary Clinic, who helped us get them all set up and checked out. Help even more animals, yourself, and planet earth - go vegan!